Smooth Sailing Press, LLC, 9781618990525, 282pp. 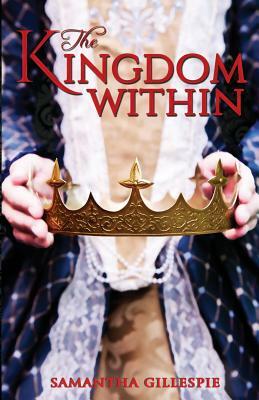 THE KINGDOM WITHIN is a Young Adult fiction work by Samantha Gillespie. Princess Meredith's eighteenth birthday is fast approaching, but unlike other girls, she is not looking forward to it. Upon her coming of age, she is to marry the prince of Alder, the most powerful kingdom in the world. Though the idea of marriage to a complete stranger is appalling, she knows she has no choice. Without the marriage contract, Stonefall's alliance with Alder will be lost, and her people will be safe no longer; Theros, King of Talos, has set his eyes of conquest on Stonefall and wants Meredith dead. Connor, an elite soldier entrusted with Meredith's safety, arrives at the palace just as things begin to take a turn for the worst. Together, they embark on a journey of survival, in which Meredith will find that the only thing she never prepared for was falling in love.